Collaborative robotics offers a new class of cost-effective robotic arms that can work safely alongside humans without the safety caging, without the added floor space and the upfront engineering time required of traditional robotic installations. A HAND (handed arm navigational device ) consists of a collaborative robotic arm, end effector and software that can be used to automate many tasks that have not proven feasible to automate with previously available tools. A HAND can also include force and vision capabilities dependent upon the needs of the application. Tasks being automated by HANDs include assembly, painting, screw driving, labeling, injection molding, welding, packaging, polishing, palletizing, stacking and unstacking. HANDs can often be placed directly where a human worker performed a task and trained to replicate their action. Most typically they work side-by-side with your existing work force to make them more productive. 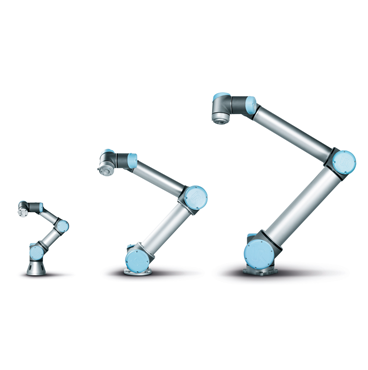 QDS System's HANDs are based upon Universal Robotics industrially proven line of collaborative robotic arms. With over 7000 installations worldwide, Universal Robotics is clearly the market and technological leader in this industry segment. Universal Robotics is a division of $4B+ US-based Teradyne (NYSE:TER) a leading supplier of automation equipment for test and industrial applications. It is common for investments in HANDs to pay back within six months to a year. Payback can come in the form of reduced overall personnel costs, improved quality through greater repeatability and improved productivity. As with all of QDS Systems automation solutions, we support our HAND installations throughout their lifecycles with our 7x24 service support.